It's your daily dose of Ailes. 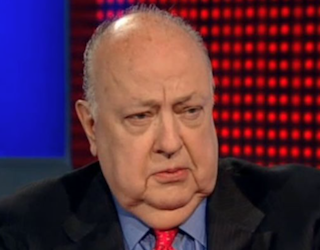 Another day, another accusation against former Fox News CEO and all around terrible guy Roger Ailes. According to Politico, Ailes bragged to “a source close to high-level Fox executives” that he could hire someone to physically assault New York reporter and national affairs editor Gabriel Sherman. The source also said that if the truth ever came out about how he targeted Sherman, “multiple people at Fox would go to jail.” That’s a scenario we see as moving beyond possible to probable. The Ailes tales are truly amazing. He’s supposed to be such a powerful guy, but he’s actually just a giant coward. Among other things.